Lime scooters provide an industry-leading mobility option for our students, faculty and staff to move across campus and reach off campus destinations. We are excited to expand our suite of transportation solutions with an innovative technology that helps meet our community's need to access higher education safely and affordably." 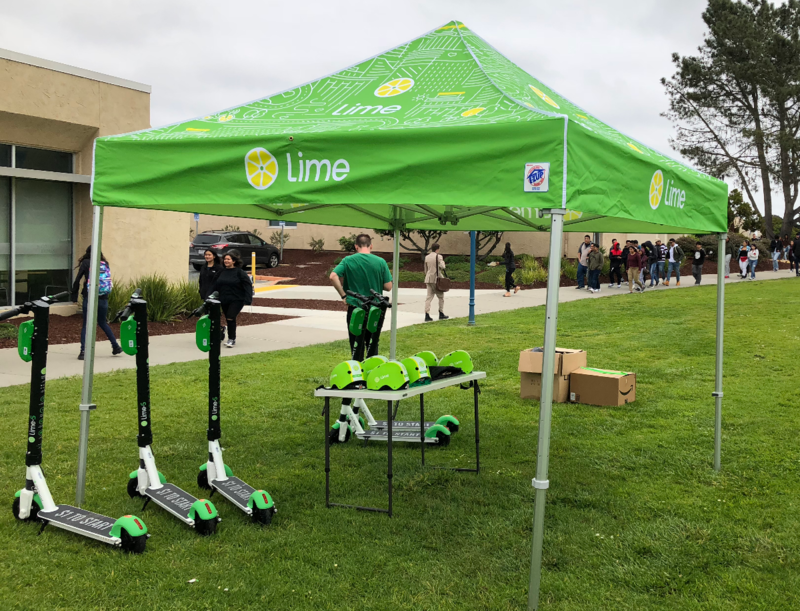 All of Lime’s scooters are GPS and 3G-enabled, making it simple for riders to find, unlock and pick up a nearby vehicle using their smartphone. When the ride is finished, riders simply end the ride with the Lime mobile app and responsibly park by the street curb, or at a bike rack. All safety and proper riding information can also be found in the app. This scooter-share program begins to realize our master plan vision for our evolving campus mobility patterns, which compliments our continued growth and ever-improving built environment." Lime currently operates in over 100 markets, and is the largest shared bike and scooter provider in the U.S. Over 11.5 million rides have already taken place on the Lime platform since first launching just over year ago.